If you happen to be near Antibes during your next holiday to the Côte d’Azur (French Riviera), we recommend that you pay a visit to the town of Vallauris. This small coastal town is an important national centre of ceramics and during your visit you will discover numerous boutiques and workshops offering a large variety of pottery and ceramics. Vallauris is home to the Ceramic Museum, found at the Castle Museum. Not limiting itself to ceramics, the Castle Museum is also a testament to the artistic heritage of the town, where you can also find the Magnelli museum and the national Picasso museum, the chapel of which Picasso decorated himself with his grand composition “La Guerre et La Paix”. In Paul-Isnard square, Vallauris’ lively centre, stands Picasso’s bronze statue “Man With a Lamb” and Georges-Clemenceau Avenue is generously endowed with many art boutiques and galleries. Alongside all of this, Vallauris also hosts la Biennale Internationale of Ceramic Art. For your trip to Vallauris, if you are unable to find available holiday bookings, have a look at the seasonal offers for the Côte d’Azur. This accommodation (20 m²) is for 4 people. It is located in the area of Vallauris (Provence-Alpes-Cote d'Azur in France). This holiday property is composed of : Shower room, Shower room with toilet. Pets are not allowed. 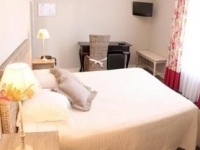 20 m² holiday accommodation for 4 people, located in the town of Golfe Juan (Provence-Alpes-Cote d'Azur in France). 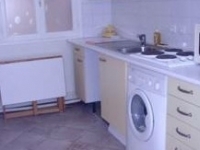 This holiday property is composed of: Kitchen, Shower room, Shower room with toilet. This accommodation (11 m²) is for 2 people. 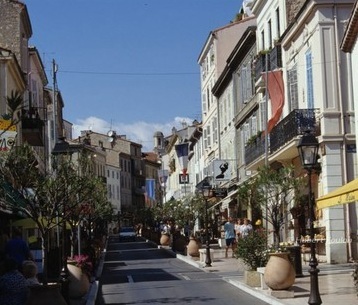 It is located in the area of Cannes (Provence-Alpes-Cote d'Azur in France). This holiday property is composed of : Shower room, Shower room with toilet. Pets are not allowed. 0 m² holiday accommodation for 4 people, located in the town of Antibes (Provence-Alpes-Cote d'Azur in France). This holiday property is composed of: Kitchen, Bathroom, Bathroom with toilet, Living room. 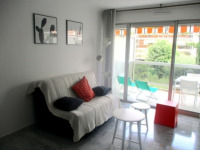 This accommodation (31 m²) is for 4 people. 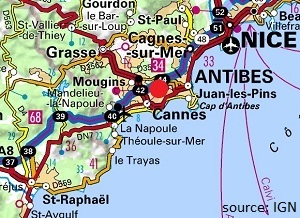 It is located in the area of Juan-les-Pins (Provence-Alpes-Cote d'Azur in France). This holiday property is composed of : Bathroom, Bathroom with toilet, Living room. Pets are not allowed. 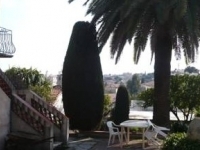 60 m² holiday accommodation for 5 people, located in the town of Antibes (Provence-Alpes-Cote d'Azur in France). This holiday property is composed of: Kitchen, Shower room, Shower room with toilet, Living room. This accommodation (18 m²) is for 2 people. It is located in the area of Mougins (Provence-Alpes-Cote d'Azur in France). This holiday property is composed of : Shower room, Shower room with toilet. Pets are not allowed.